There’s a direct line from protecting your products during shipping to increasing your profit margins. We know every available option for interior and exterior protection and can make sure you get it right. We’re not going to just hand you a box. We’re going to advise you on the best possible ways to protect against breakage, moisture, corrosion and electrostatic discharge with interior packaging supplies. We represent quality manufacturers like 3M, Sealed Air, Signode and Pregis — and because we keep more than $1 million in stock in our warehouse, we can deliver just what you need at your request. We can also manage your current stock levels with our high-tech Vendor Managed Inventory Tracking and Just-in-Time replenishment programs. We’ll know what you need before you do and save you valuable warehouse space. All of this keeps more cash available for you to invest in the growth and profitability of your company. If your product is exceptionally large or uniquely shaped, our in-house design and engineering group will fabricate custom foam inserts that will fit your product to your exact specs. We will consider the fragility of the product and the transportation conditions, as well as perform cushioning requirement calculations and vibration assessments. 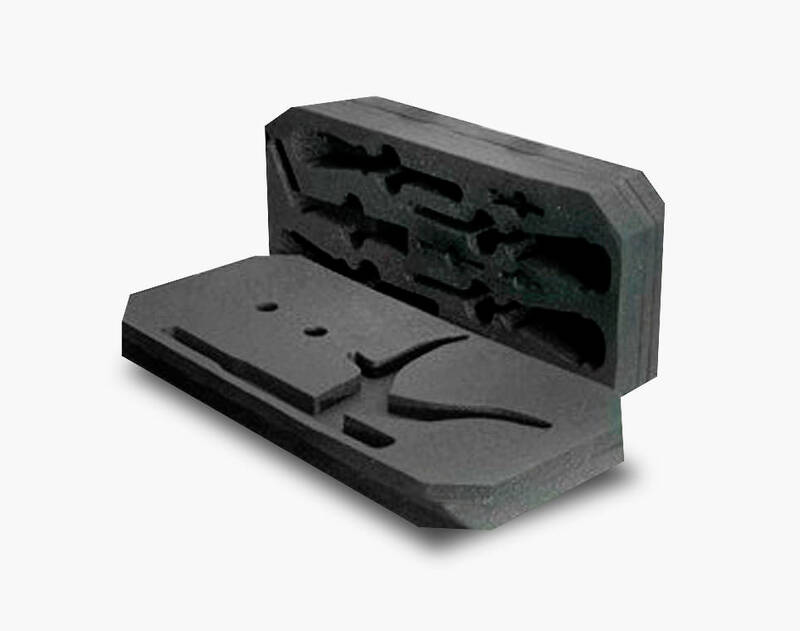 Learn more about our custom foam fabrication materials below, along with our wide range of protective packing supplies. At Arnold Packaging, we can assist customers in developing custom die cut packaging, trays, inserts, and other foam products. Custom shapes can be cut from polyethylene foam to fit your needs. The ideal material can be chosen based on cost and protection requirements. This allows us to meet tolerances of 1/16″ (depending on thickness) which are much tighter than many other manufacturers. A close fit is essential in protecting critical components during transport. Custom die cut packaging and handling trays protect parts while maintaining a consistent packing procedure across the manufacturing process. This prevents damage while giving products a premium professional look. We carry a large stock of standard sizes and densities to expedite rush orders, and offer additional value added services that including lamination and assembly. Due to our efficient manufacturing technology and automated cutting abilities, we can competitively quote anything from low volume to high volume orders. When your product is extremely fragile, polyurethane foam is the protection you need. We specialize in building custom dies to create fabricated-foam packaging for your products. Die-cutting entails stamping out custom shapes using various types of steel rule tooling and high-tonnage die presses to ensure dimensional accuracy. Our die-cut protective packaging is ideal for sensitive, fragile products such as medical equipment and pharmaceutical materials, electronic components, consumer goods, automotive products, industrial supplies and office equipment. It provides shock absorption, ESD control, blocking and bracing. 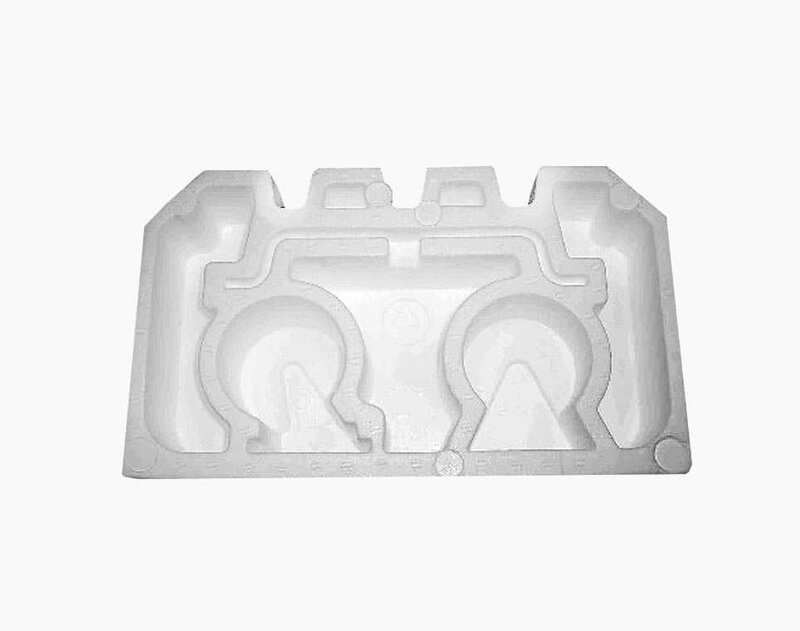 Polystyrene foam is an extremely versatile material that is well suited to numerous applications. Styrene is lightweight yet strong, and has a high insulating value; it maintains tight tolerances and can be molded in intricate and unusual shapes and surfaces – all making it perfect for packaging, components, and building and specialty products. 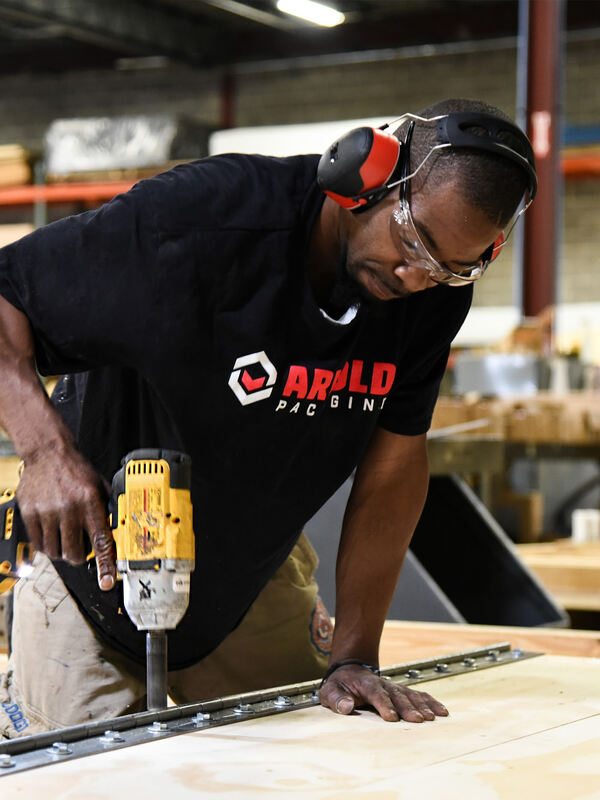 Arnold Packaging has been engineering and manufacturing EPS and other foam products for decades, and brings a wealth of knowledge to design, tooling and production. Throughout the years, we have developed cost-effective products that help customers meet their needs. In addition to providing custom solutions, we have our own line of stock items that solve packaging problems off the shelf. Instapak foam makes an immediate positive impact on both the environment and our customers’ bottom lines through superior performance and reduction of material usage.of packaging material to reduce waste, cube size, carbon footprint and associated fuel costs for transport. The product arrives in one piece, eliminating the environmental impact of repackaging and reshipping. At Arnold Packaging, we are taking molded pulp packaging to a whole new level. 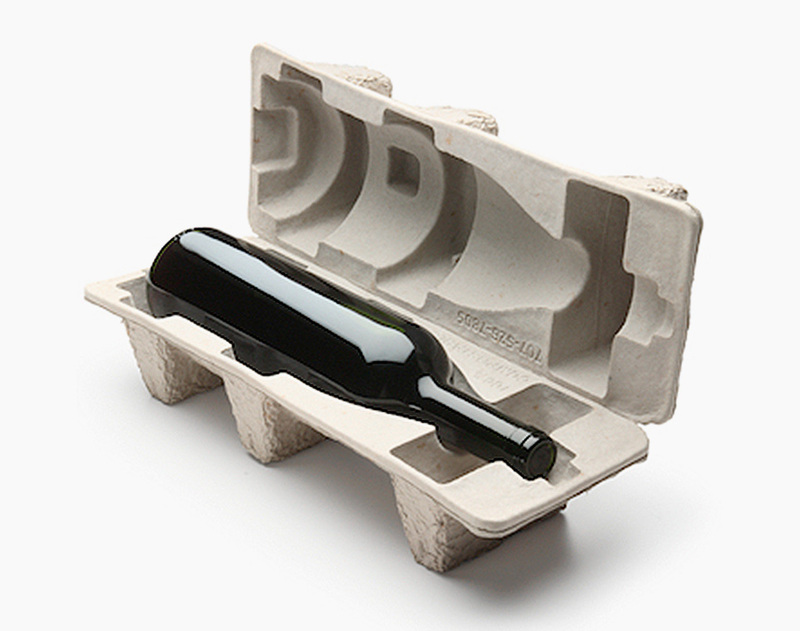 Although the demand for recycled packaging has been growing for years, molded pulp has traditionally been associated with items like box inserts, cup carrying trays, and egg carton packaging that had a very limited consumer appeal. New manufacturing techniques and innovative design capabilities are changing molded pulp’s image. Now, consumer product companies looking for sustainable and environmentally friendly packaging have an aesthetically pleasing option. Our years of experience successfully designing and supplying molded pulp keep us at the forefront of traditional custom protective interior packaging as well. 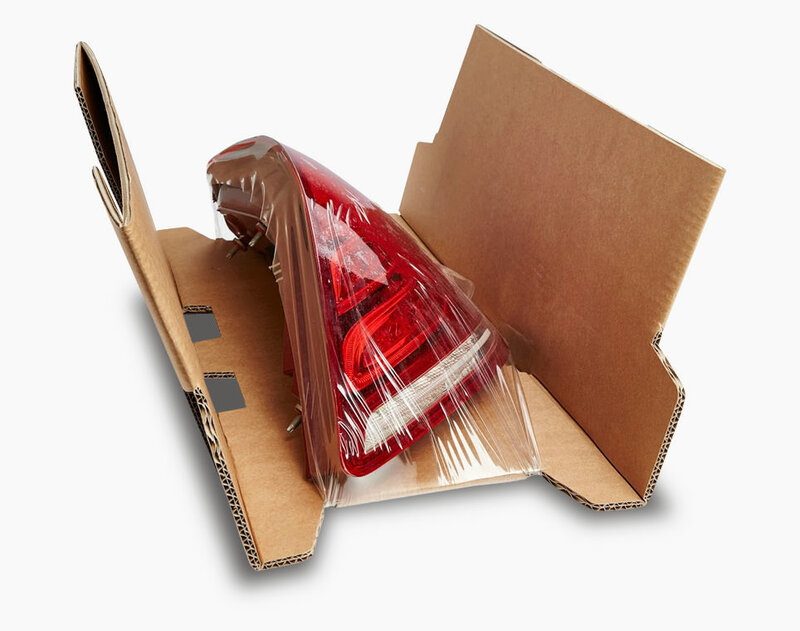 Korrvu® packaging is a dynamic packaging product that uses a strong, highly-resilient low-slip film to surround your products, protecting them from shock and vibration. 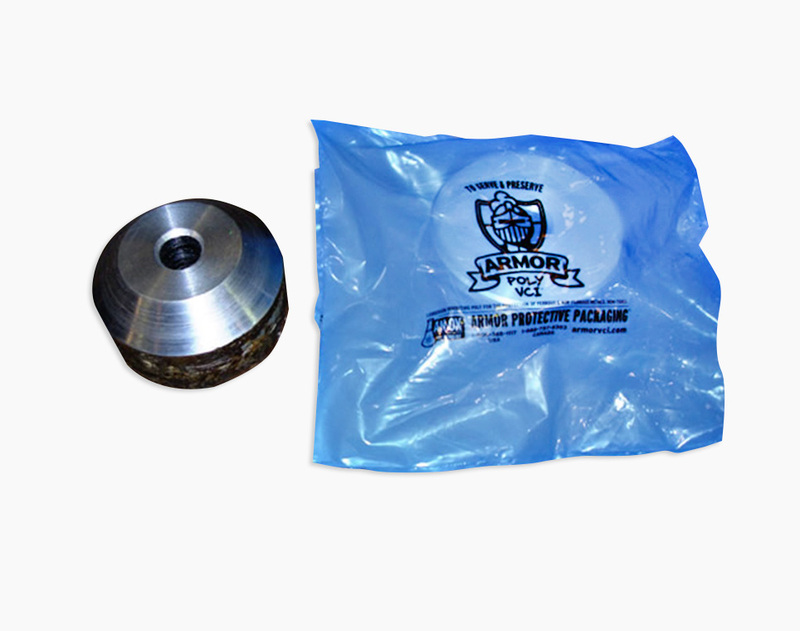 Innovative, engineered solutions to specific packaging requirements with unique features, provide a complete packaging solution that holds your product securely in place protecting it from damage due to shock, vibration and impact. 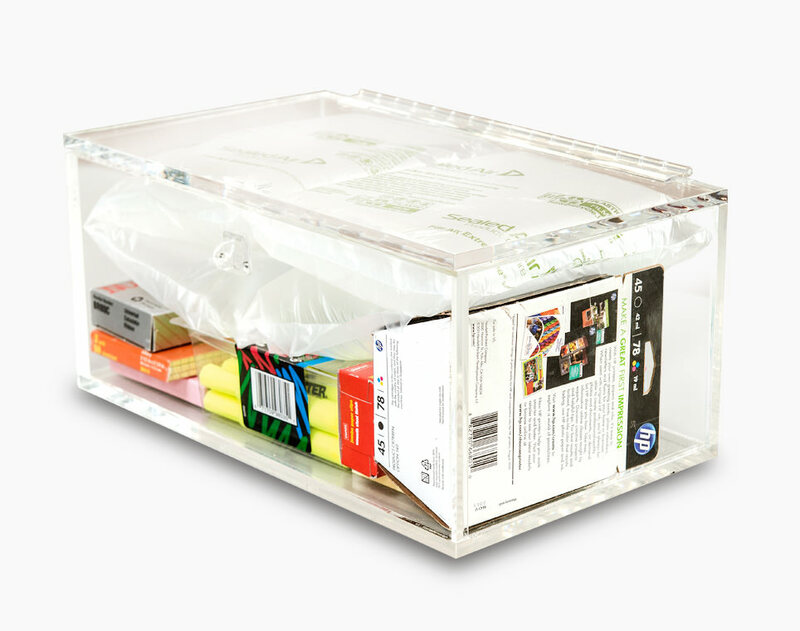 Korrvu showcases your product’s appearance through transparent film and enables your package to serve as both a protective shipper and an effective display merchandiser. The resilient film will conform to a variety of shapes ensuring each design can be used for a variety of similar shapes reducing your packaging inventory. Korrvu packaging stores flat, reducing storage and warehouse space requirements with no special equipment or capital investment required. The product contains at least 30% recycled content and is readily recyclable in corrugated hydropulping operations. 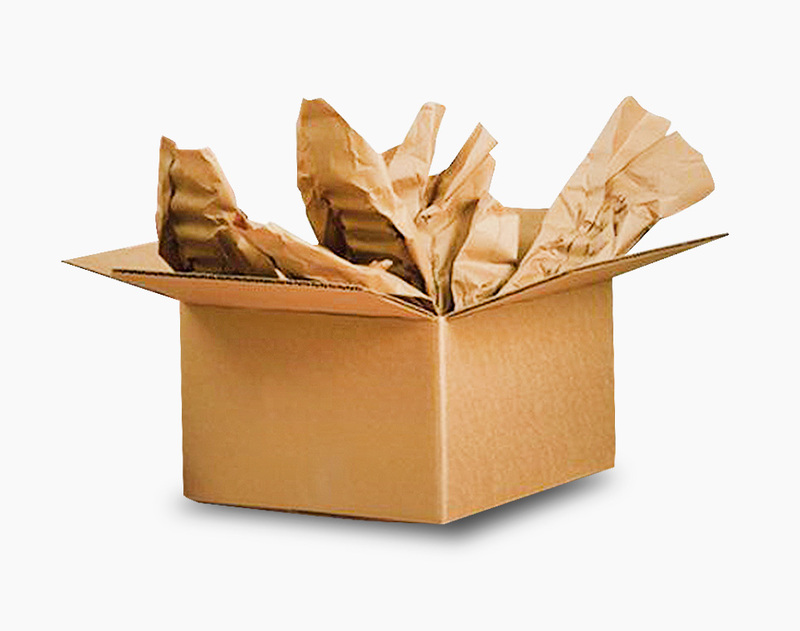 Korrvu® packaging is also reusable for return shipments minimizing waste at both ends of the distribution cycle. Inflatable systems produce air filled protective packaging products on demand by inflating film to form protective air pillows or cushions. The film takes up less than 1% of the space as it does when air filled, making it a space saving alternative to standard protective packaging materials like loose-fill peanuts or rolls of bubble. Producing the protective packaging materials on demand also improves packaging line productivity while lowering labor costs. 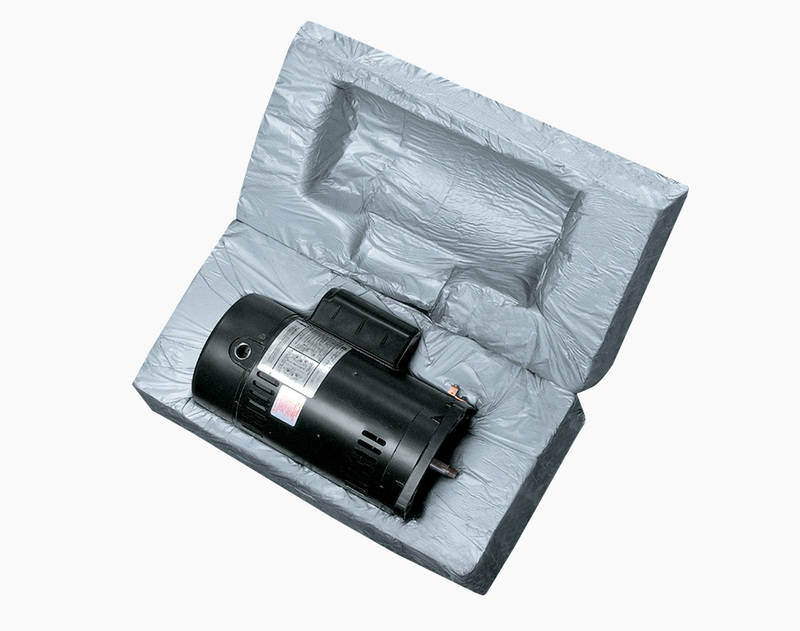 Inflatable products are lightweight to significantly reduce freight costs while protecting the contents from damage and costly returns. Brand owners and consumers alike prefer the clean appearance and visibility provided. Paper cushioning provides environmental stewardship at every stage of the production process. It starts with rolled, embossed material, which contains 85% Post Industrial and 15% Post Consumer recovered fibers equaling 100% recycled fiber. The end-user can easily reuse or recycle the paper dunnage material upon receipt of shipment, saving on natural resources. Since the paper is lofted, strong and durable, less material is required to provide “more” protective packaging performance for a wide variety of product applications. It’s all part of Arnold’s Packaging’s holistic design approach, combining source reduction, recycling and the use of sustainable resources. Made from annually renewable resources, flowables from Arnold Packaging are a compostable loose fill. 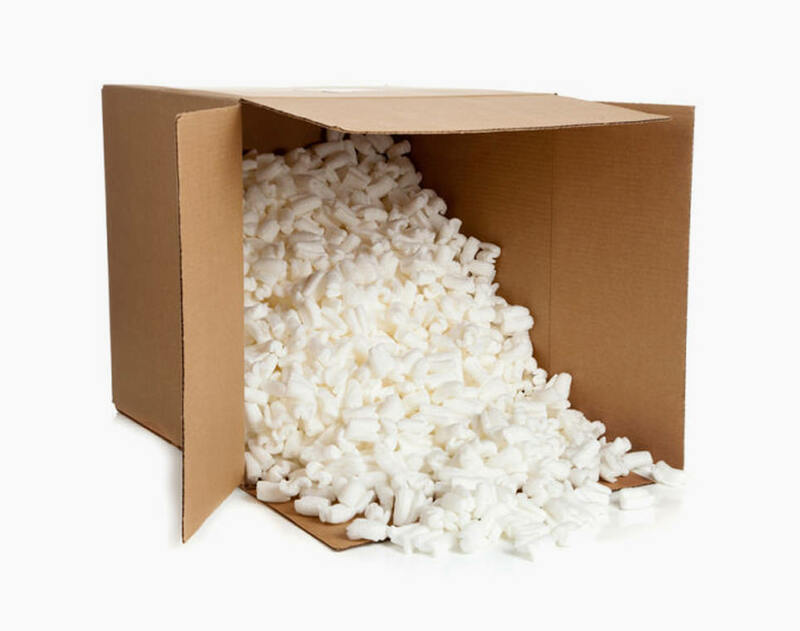 Shippers are also finding the starch-based packaging peanuts more economical over the rising cost of petroleum-based products, and more reliable than single-ply paper protection. Our products are certified compostable according to ASTM D6400 (USA) and EN 13432 (Europe). They are also 100% compostable and will decompose in commercial landfills. The product won’t leave any harmful residue and disintegrates in water without polluting groundwater resources. 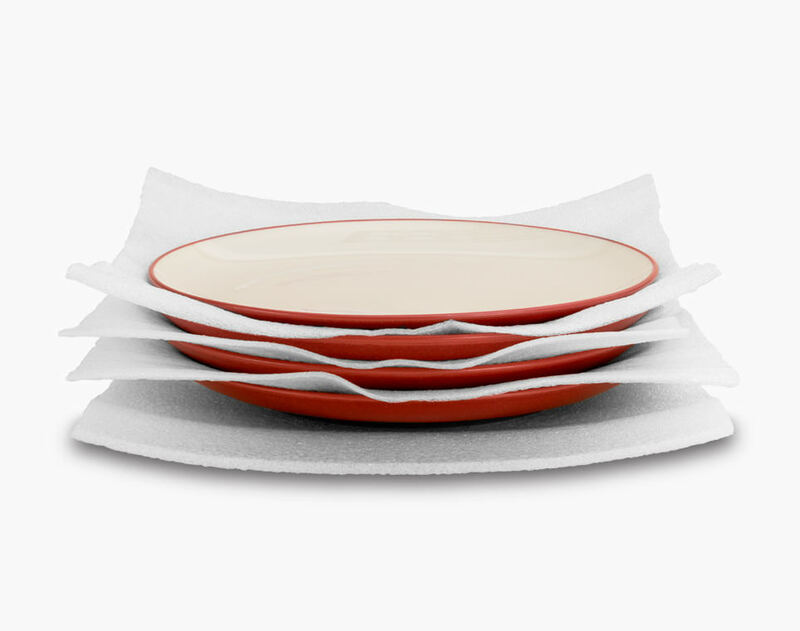 Starch based flowables minimize material and shipping cost while being dust-free, anti-static and abrasion resistant. Arnold Packaging supplies VCI films that come in a variety of forms to suit various packaging needs. The broad line of high performance film includes bags, sheets, rolls, tubes, auto bags, elastic bonnets, gusseted liners and shrink film, in addition to other custom VCI poly products. Films are transparent and heat sealable and provide the combined benefit of barrier and anti-corrosion protection in a simple to use form. With proper usage of VCI film, metal parts can remain corrosion-free for years of storage. Desiccants from Arnold Packaging are compounds or agents, such as Montmorillonite Clay or Silica Gel, used to facilitate a low humidity environment by absorbing moisture content in the air. They are typically used in transport, storage or maintenance of materials and products. 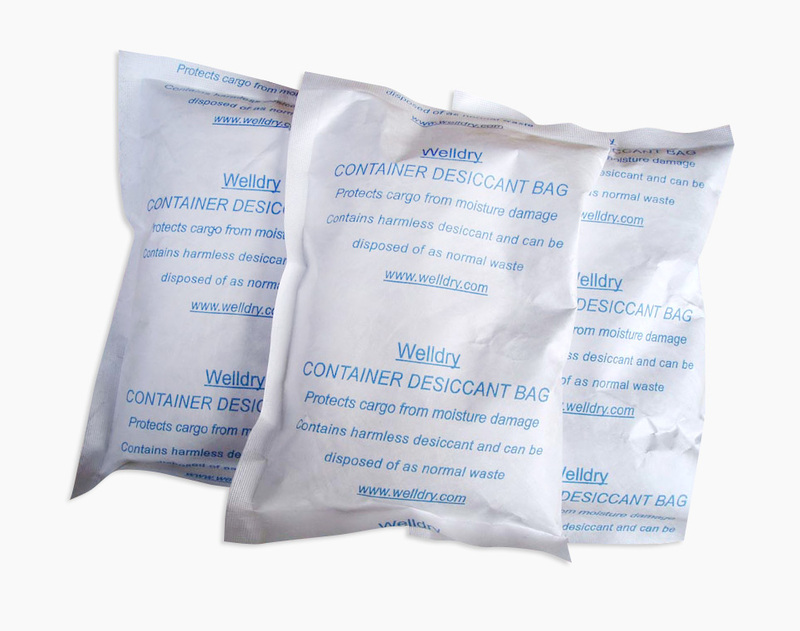 Desiccant is used to keep everything from gym shoes to military munitions dry. Based on the shipping and storage conditions, we will help you select the proper type and amount of compound to protect your valuable product. 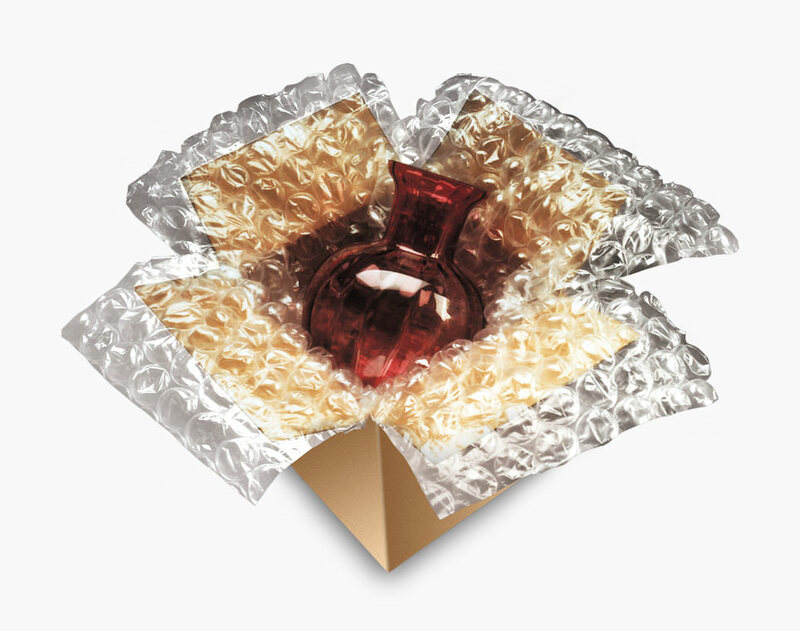 Arnold Packaging is an exclusive Distributor of Sealed Air Bubble Wrap. As the inventors of Bubble Wrap brand cushioning over 50 years ago, their secret to a better bubble has always been starting with a full air bubble and keeping a full air bubble. Simply stated, in order to protect your products from the hazards of the shipping environment, the air has to be there and stay there. A blend of nylon and polyethylene provides a barrier that holds air longer under pressure than non-barrier products. It’s these bubbles that cushion your product to its final destination. 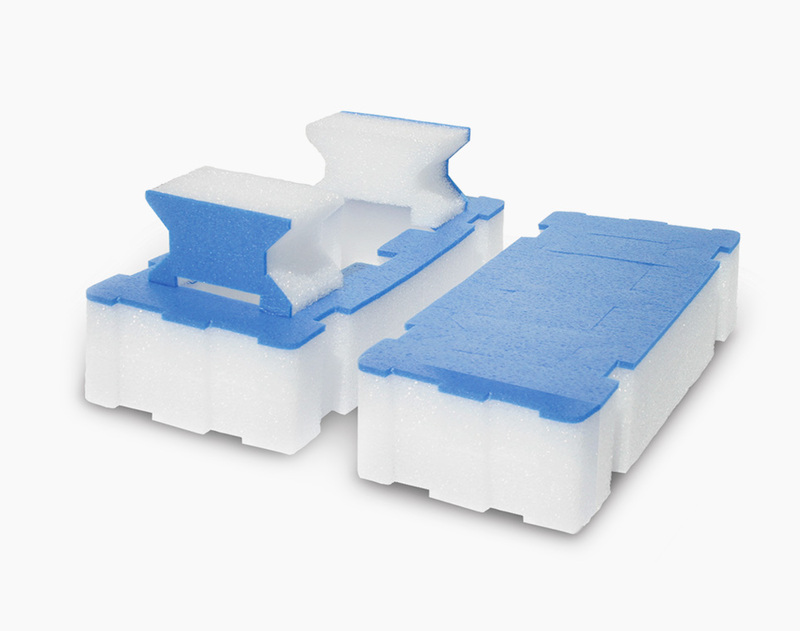 Polyethylene roll foam is a cleaner, more efficient and cost-effective solution for a range of packaging applications requiring abrasion resistance. It is an efficient replacement for bulkier, heavier packaging materials helping reduce solid waste. It is resistant to moisture damage over a wide range of temperatures and provides excellent thermal insulation.